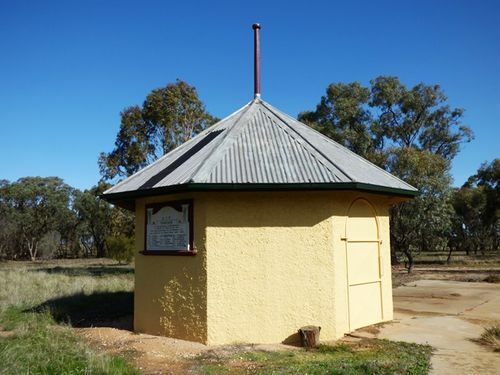 The Fernihurst Memorial Shelter was funded by public subscription and built to commemorate local servicemen who served in World War One. It contains a marble honour roll with the names of men from the district who served. And Fought In The Great War 1914 - 1919. "At rest with the honoured dead"